Port-of-Spain, Trinidad, February 13, 2019:Whether you believe successful entrepreneurs are born or made or both, it’s hard to argue against the value of providing entrepreneurs with opportunities to develop and strengthen the core skills needed to achieve their goals. Providing these opportunities is even more critical for developing countries like Trinidad and Tobago, who need the drive and creativity of entrepreneurs to boost our efforts to diversify and grow our economies. It is with these pressing needs in mind that Republic Bank launched its ActionCLUB programme which celebrated the graduation of its second cohort on Thursday February 7 at the Bank’s Head Office. The ActionCLUB programme was designed was designed to help small business owners and other self-employed professionals build skills like time, team and money management, marketing and achieving growth in customers, revenue and profits – all essential to surviving and thriving in today’s economic climate. The programme which ran from September 12, 2018 to December 5, 2018 was facilitated by Indira Couch, CEO of ActionCOACH Trinidad and Tobago. By all accounts the programme’s impact on the lives and businesses of its 30 participants was nothing short of transformative. From the business owner who finally gained the confidence to leave her full-time job and fully commit to managing her growing company to the family who learned to grow the profits of their dental practice, the ActionCLUB’s stories speak to the value of building a nurturing and supportive environment for entrepreneurs. In delivering remarks at the graduation ceremony, Derwin Howell, Executive Director, Republic Bank reminded the programme’s graduates that, as entrepreneurs, they are the engine of our economy. 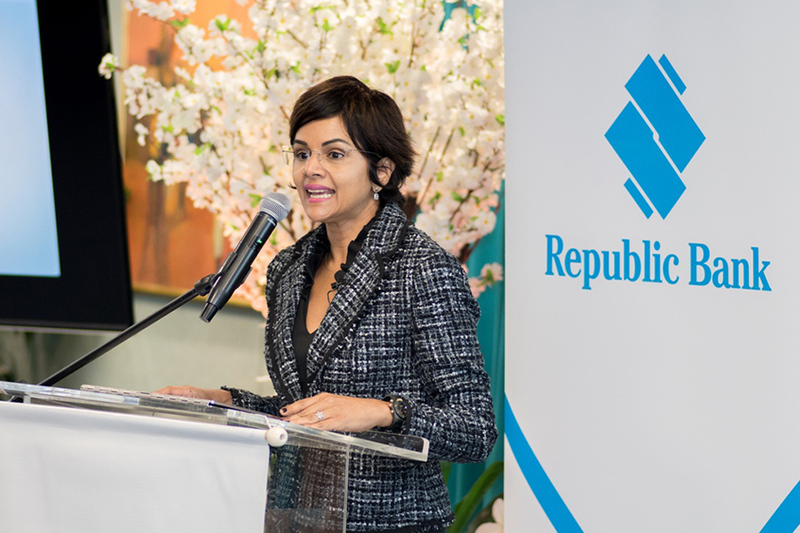 He encouraged the graduates to make the most of their opportunities to network with each other and to use the skills gained in the programme to raise the standard for entrepreneurial talent in Trinidad and Tobago and the World.